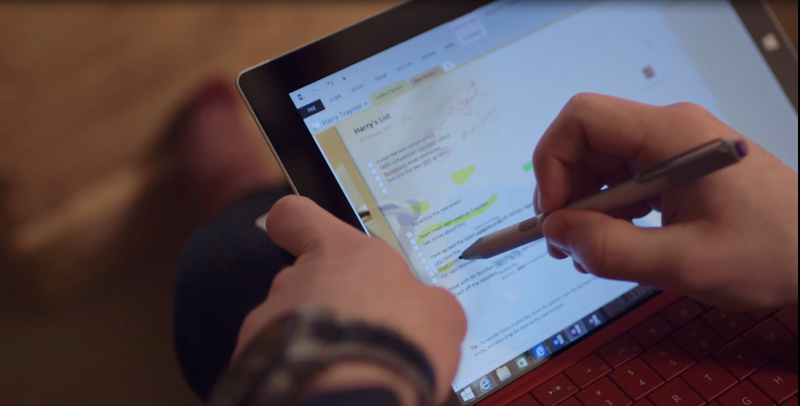 Head to head: laptop or Surface Pro for education – what’s better? At Wymondham High Academy we welcome technology in the classroom and encourage the students to bring in their own devices to work on. Using the power of Office 365 and OneDrive, it is now possible for students to work on the same document on a range of devices, from desktop PCs to smartphones and even games consoles (if you are mad! ), it makes more and more sense to buy your own portable device to work on in school and continue working at home either on the same device, or on a different device without the need to worry about transferring the latest version of your document to a flash drive and then deleting or overwriting old versions or having to worry about emailing yourself the latest version. When choosing a device for school what is the best thing to go for? Are you better off being ‘boring’ and ‘sticking to what you know is tried and tested’ and getting a laptop, or are you better off being adventurous and using a tablet or a ‘convertible’ device for your education? 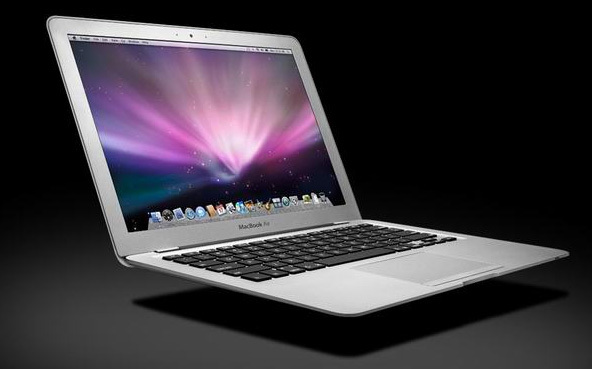 Option one will probably bring you to a laptop from somebody like HP, Dell, Acer and Lenovo. You tend to get good value for money and can even pick up machines with dual-core Hyper-Threaded i5s for as little as £500 these days which comes across as being great value. There is a wide range of devices to choose from, with screen sizes ranging from a tiny 11.6″ to a massive 17.3″ and processors ranging from the smallest Intel Atoms to the biggest quad-core i7s with some AMD options and i3s and i5s in between. 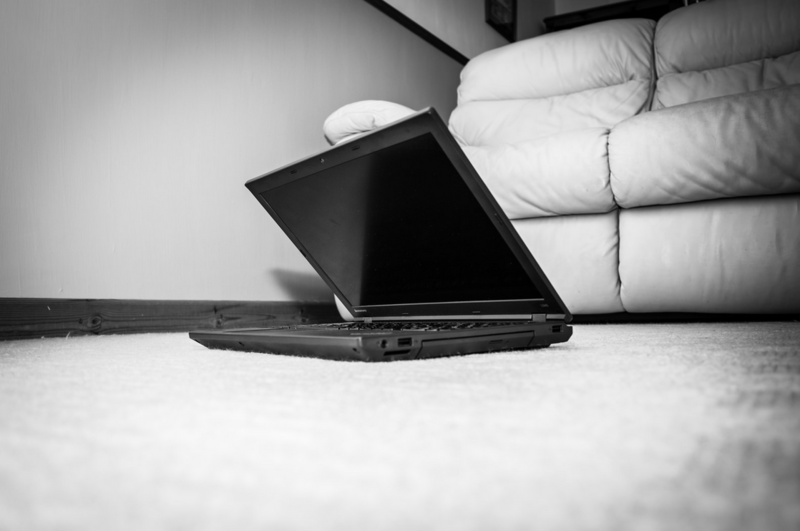 When choosing a device for school I needed something that was tough, reliable and dependable. It also needed to be fast and able to run Adobe CC 2014 well as well as of Office 365 of course. I also needed a decent battery life and I wanted something with a great display and I wanted something that was fairly portable. 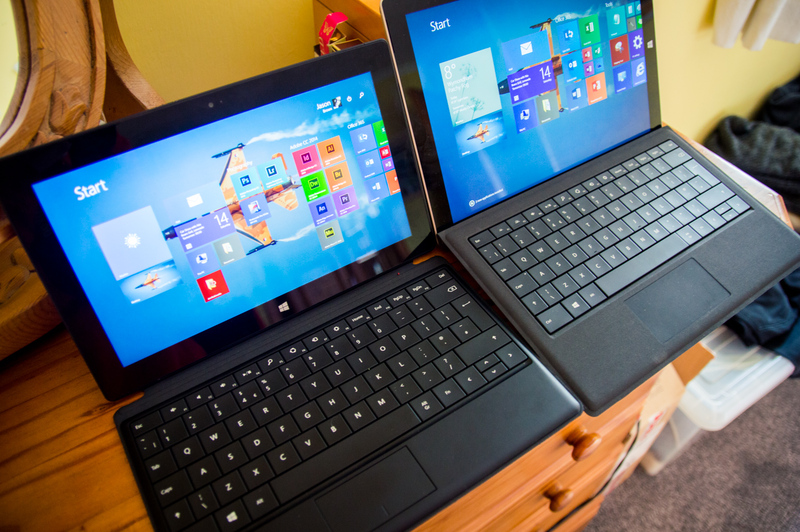 A traditional laptop or a tablet convertible? It can be a tough choice! I ended up spending upwards of £900 on a Lenovo ThinkPad L540. 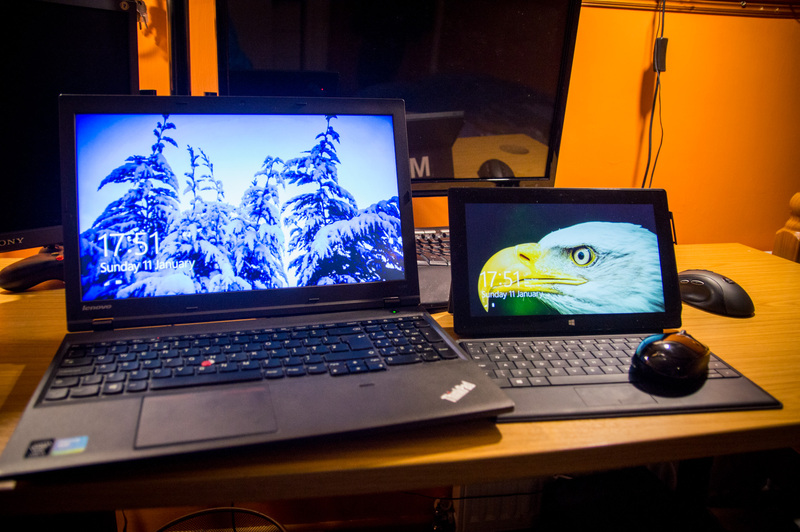 The reason I went with Lenovo and the ThinkPad was because I am a big fan of Lenovo and I owned several ThinkPads whilst they were still manufactured by IBM, so it’s true that you never ‘get over your first love’. 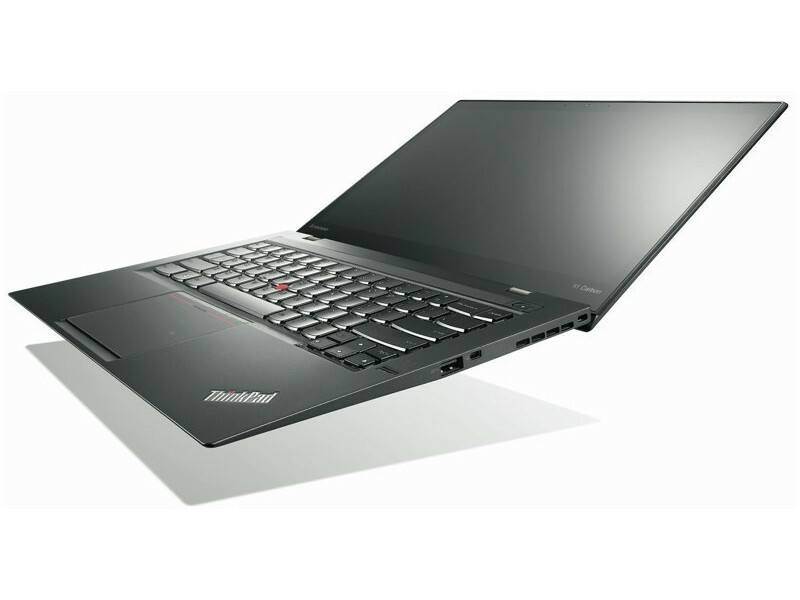 For those of you who are not familiar with the ThinkPad line, they are legendarily reliable business machines, with even the most basic models being ‘military-spec tested’ in this day and age. They are not what you call ‘beautiful machines’, being somewhat square and ‘corporate-like’, but I love them because they are quite unique in the United Kingdom where I live and there is something about them that I find very ‘badass’. Yes, for what you get people told me ‘you’re crazy to spend this kind of money on a mid-range ThinkPad’, but hey, I wanted the ThinkPad, so I went for it. My ThinkPad L540 is a fast machine, but it is heavy and bulking. I struggled to get it in my bag with my books and in the end my bag started to split! – The weight. 2.5KG may not seem like a lot on its own, but unfortunately I also have to cart heavy textbooks to school which alone probably weigh a couple of kilograms. Add the laptop to that and my school bag is very heavy. But it gives my shoulders a good workout! – The thickness. Originally when I took it out of the box I was surprised – it was thinner than expected. But again, taking it to school everyday, the thickness shows! Sometimes it’s hard to get stuff to fit in my bag because of the thickness of the laptop. The annoying thing is that most of this thickness is the DVD drive that I never really use. – The battery. It’s not bad, and considering I’m doing stuff like Photoshop on battery I can’t really complain, but I can’t make it through a whole day on a single charge. My school days are typically 8am – 4pm and usually I end up charging the battery in my free lessons, which isn’t a bad thing, but it just means sometimes I have to take the A/C adapter to school (but I usually leave it there during the week and bring it home at weekends). – The size. It’s a big laptop. I find it’s fine for use in computing and art lessons where I’m in IT suites anyway, but for note taking in geography and economics lessons where I’m in normal classrooms it takes up a lot of desk space. 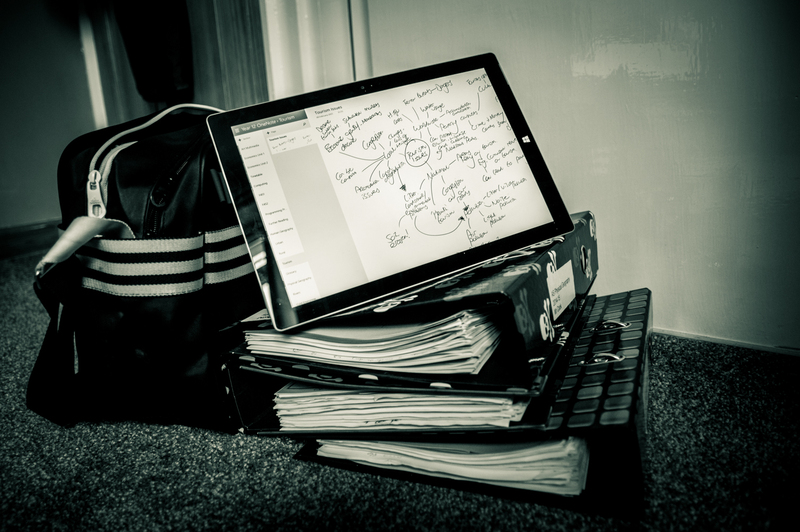 The laptop was so heavy that it actually ended up splitting my bag and because it took up so much desk space in most of my lessons, I ended up taking my Surface RT in to use in lessons such as geography and economics where I also have folders. But of course the Surface RT was not a great ‘all-rounder’ for me because of the obvious limitations with Windows RT meant it could not run the Adobe suite or Python or Visual Studio for my computing lessons. Don’t get me wrong, the ThinkPad is one hell of a laptop, if a little showy, expensive and heavy, but sadly the weight was the biggest downfall for me. Eventually my backed ached so much from carrying it and a load of textbooks that something had to be done. The trouble is that with laptops unless you spend a lot of money it’s very difficult to find a good blend between power and performance. Most ultrabooks that are £1000 tend to have fairly weak CPUs and a small amount of RAM, which makes laptops such as mine seem more appealing and those £500 i5 laptops you see even more appealing. 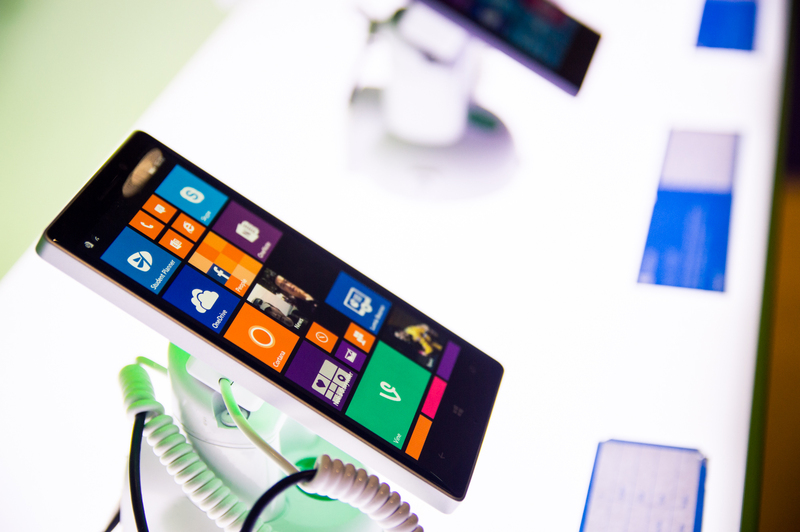 What I really needed was a device that was small, portable and powerful. The Surface Pro I got runs Adobe CC 2014 near enough perfectly and is small and light. Perfect mobility! Oh, what’s this we have here? Could it be a Surface Pro 64GB running Windows 8.1 Pro x64 with an i5 3317U CPU and 4GB of RAM? I believe it could be! 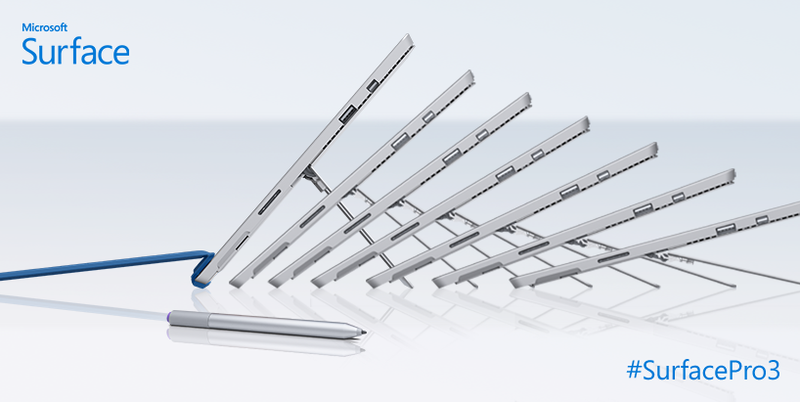 The Surface Pro 3 comes in several different variations and is the perfect blend of portability and power. 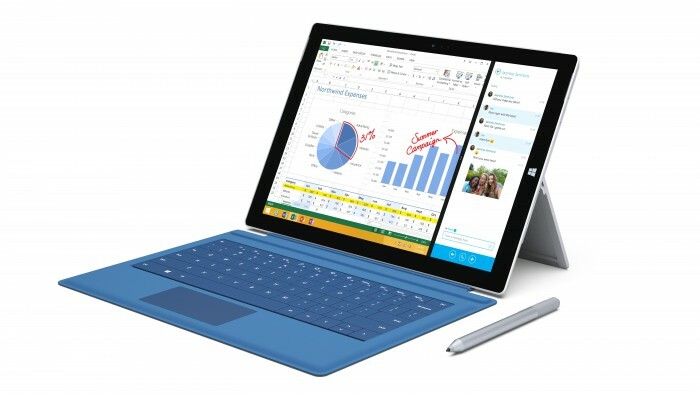 Option two may lead you towards something like this: the Surface Pro is one of many Windows tablets on the market now. 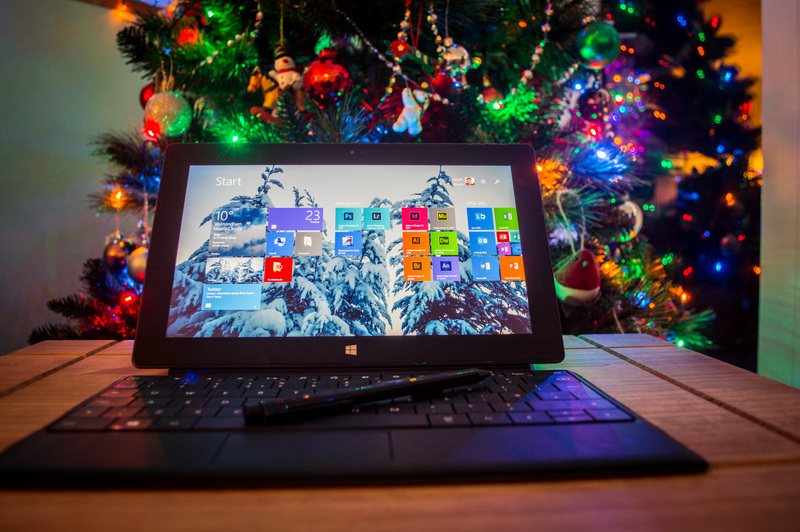 The Pro is aimed more for those who want to truly replace their laptop with a tablet, especially the Surface Pro 3 with its i3, i5 and i7 offerings with 120GB, 250GB or 500GB SSDs and 8GB RAM, but you can now get your hands on a 10″ Windows tablet for as little as £150 these days which will run Office 365 and basic apps quite nicely. 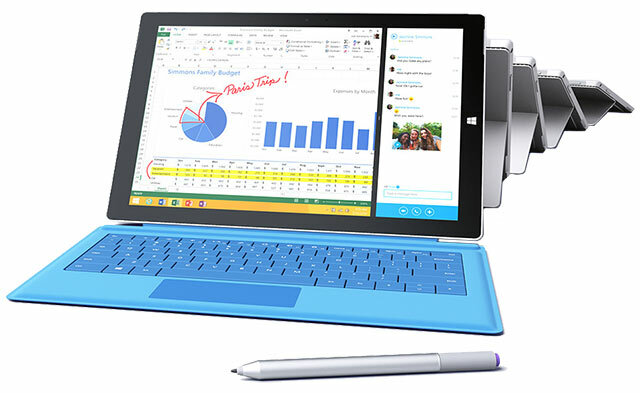 These cheaper tablets are absolutely ideal if you just want a portable tablet to fling in your bag or carry around to run Office and browse the web – and spend less than the cost of a Surface RT but have the flexibility of being able to run proper Windows desktop apps on it. Many of these tablets have quad-core Intel Atom CPUs and 1 or 2GB of RAM with a 32GB SSD, so the spec isn’t bad at all and for £150 or less the value certainly shines. I got my Surface Pro tablet from Kevin because he was lucky enough to be given a Surface Pro 3 for free from Microsoft. All I can really is that it seems to me like it is the perfect blend of power and portability. Yes, it’s not quite as powerful as the ThinkPad and it has an older CPU and half the RAM and yes 64GB of storage is a little limiting when working with the Adobe suite and Adobe Creaitve Cloud (but I did add a 32GB microSD card to increase the total capacity of the device to 96GB which has helped, and let’s be honest – my work is in OneDrive and it doesn’t need to be synchronised to my Surface) and the keyboard has taken some getting used to and yes this thing can run slightly hot at times, but the best thing about the Surface Pro is just the mobility of it. 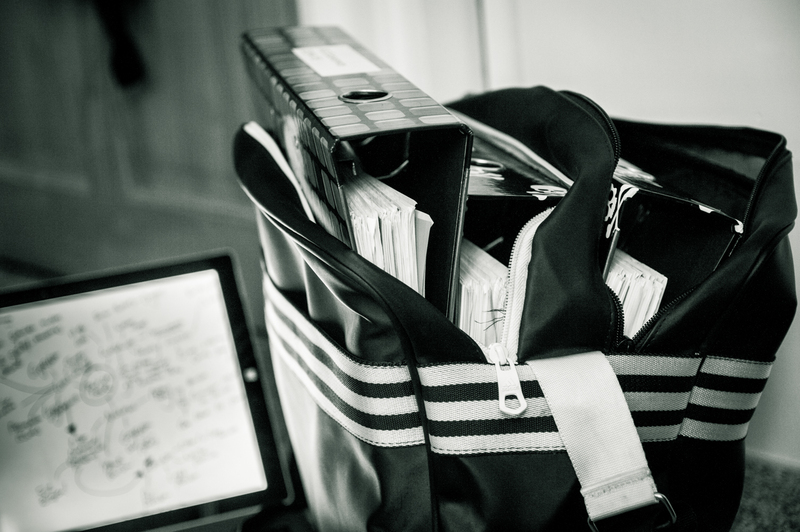 It is fantastically portable, something I can easily carry around in my bag or under my arm. 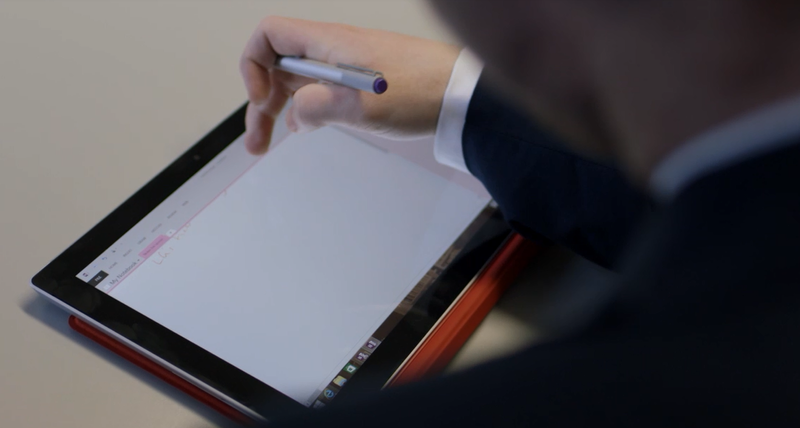 The pen and touch screen are nice novelties. I’ll be honest I don’t use them that often but Adobe Illustrator CC 2014 is pretty cool to use with a pen and it’s fun showing friends the OneNote ‘Ink to Text’ feature on my Surface. 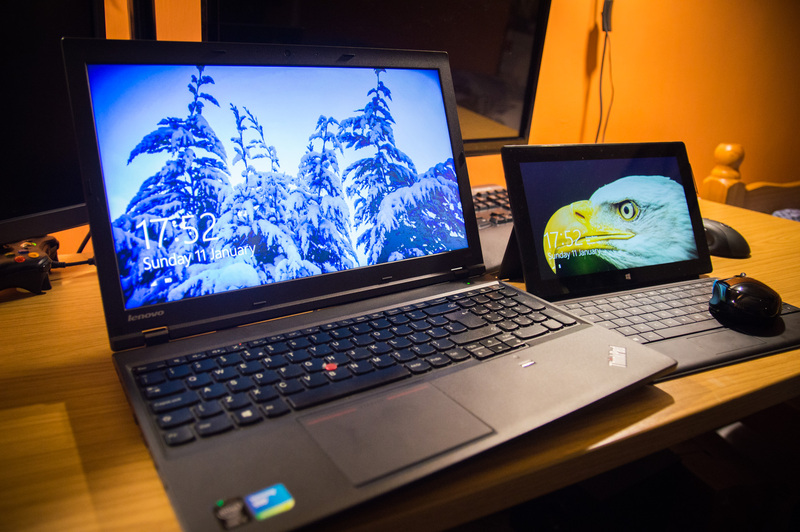 Several of them have been blown away by that, but again they were also blown away by the 180 degrees tilt on my ThinkPad’s display and its fingerprint scanner. The battery life seems decent. When I owned a Surface RT the battery in that lasted for days but we have to remember that this Surface Pro has a fully-blown i5 in it whereas the RT only has a basic ARM processor, so this Surface Pro is much more like my laptop in terms of battery life. It doesn’t seem to be terribly good at estimating how much charge it has left though. Sometimes it can go from 5 hours to 2 hours in a matter of minutes when just browsing the web, and then it can shoot back up to 5 hours. But I haven’t completely drained it yet! 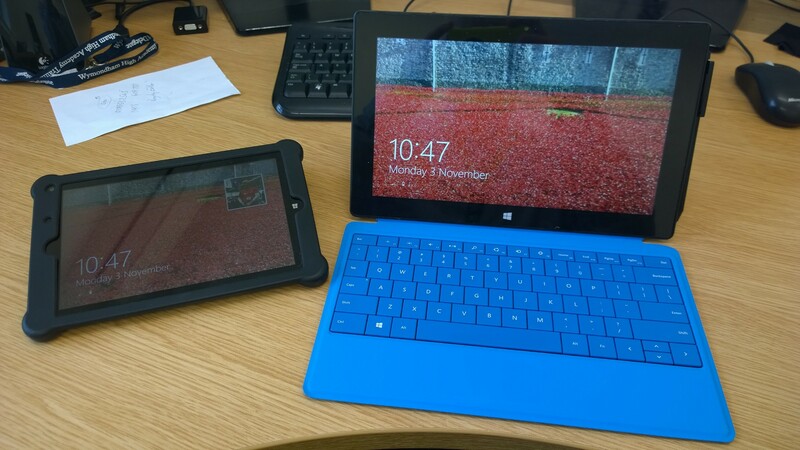 Side-by-side, the Surface is obviously much more portable than the ThinkPad. The performance is nice. Adobe CC 2014 runs very well on it. The display is nice and bright and with it being glossy the colours really ‘pop’ too so editing photos in Lightroom is good, but my gripe would be that the small size of the display makes working on big documents in programs like Word and InDesign where there is a lot of text quite hard. Mind you, with that being said the 1080p resolution makes good use of the small display and the real estate is pretty good as a result of this. 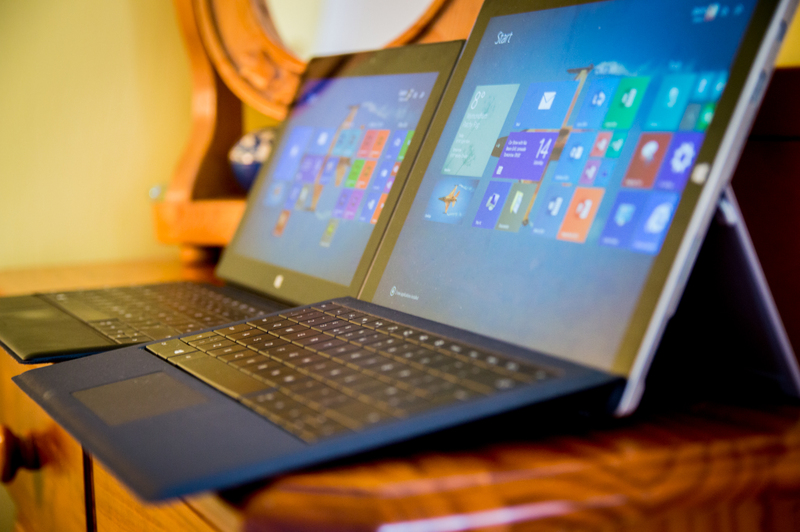 To conclude, the Surface Pro is a good all-rounder and is the perfect mobile device. 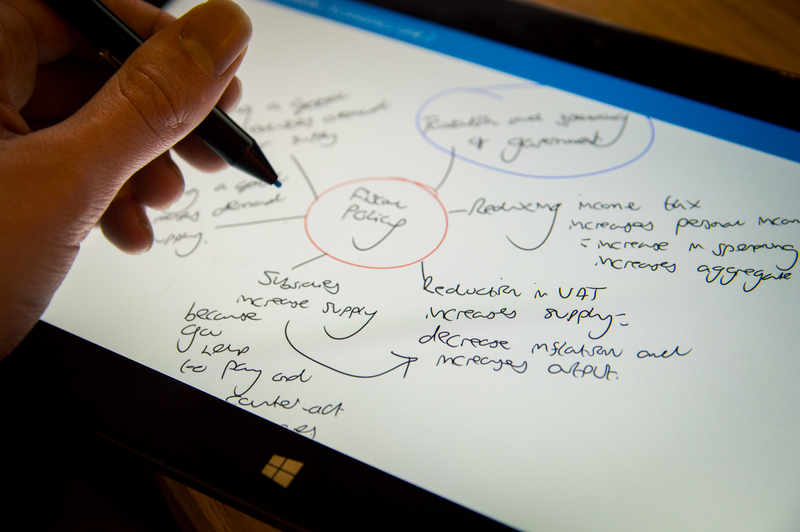 I found that each machine has its benefits and each has its flaws, but for pure mobility and power in a tiny package, at the moment I am finding that the Surface Pro is probably the better machine for education. But that doesn’t mean to say that my ThinkPad is obsolete. I could go back to using it if I find more limitations with the Surface Pro. But what device is best for you in education? It really depends on what you do and what your budget is if you ask me. If you want something to just browse the internet with and write some documents using Office 365 on, grab a cheap tablet or laptop (it doesn’t necessarily need to be a Windows device, Office 365 apps are available for Android and there are some great low-cost Android tablets on the market too! 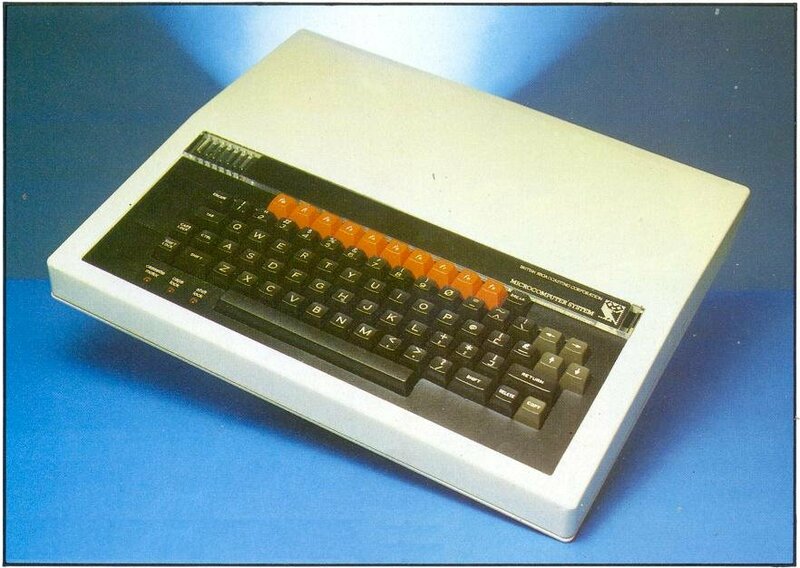 ), but ultimately if you want the portability then a tablet would probably be best. If you store your work on the cloud using OneDrive then storage space doesn’t really matter too much. 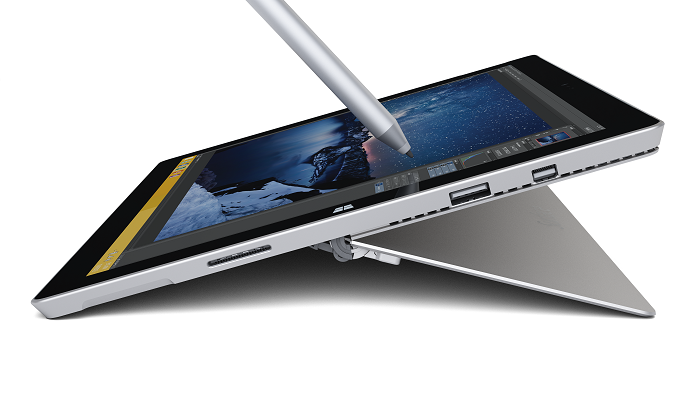 If you need something powerful and portable I would highly recommend something like the Surface Pro – look at the i5 Surface Pro 3. 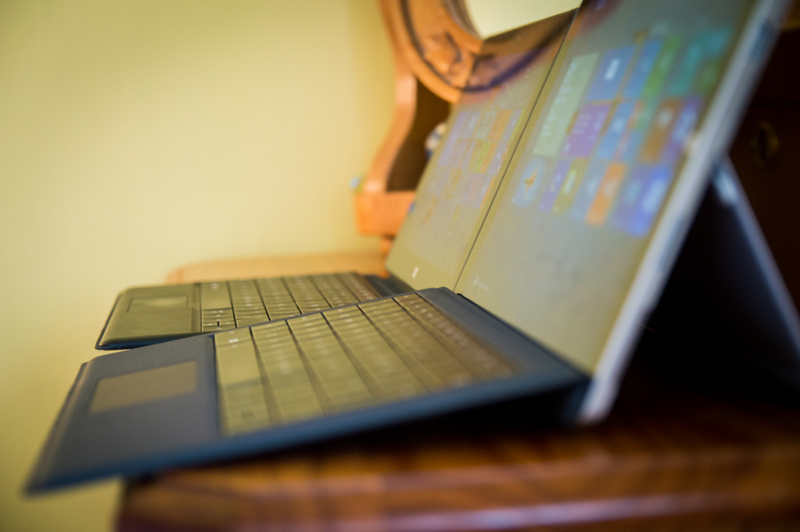 It’s the perfect blend of power and portability and for the same cost as something like a Lenovo Y50 or a ThinkPad T540p or a higher-end Dell XPS or HP machine, the Surface Pro 3 is the clear winner if you need power and portability. The other options are big and heavy, especially the gaming-grade Lenovo Y50 which may be able to max out the latest games at 1080p, but is big and bulky! The bottom line is to think about what you want and need, and buy around that criteria. Old Buckenham High School a year on…. 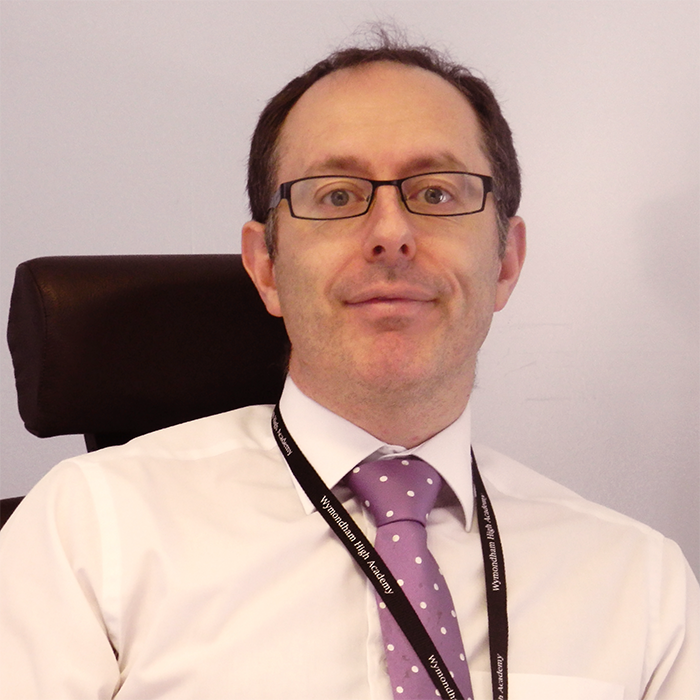 It was a year ago I first met with Aron Whiles, who was then the new head teacher of Old Buckenham High School. Our first conversation went something like..
we want to do something with out technology in school! The rest is history as the say, here is a summary of what can be achieved in a year. Its certainly work in progress and I am sure in 2015 there will be a lot more to tell. 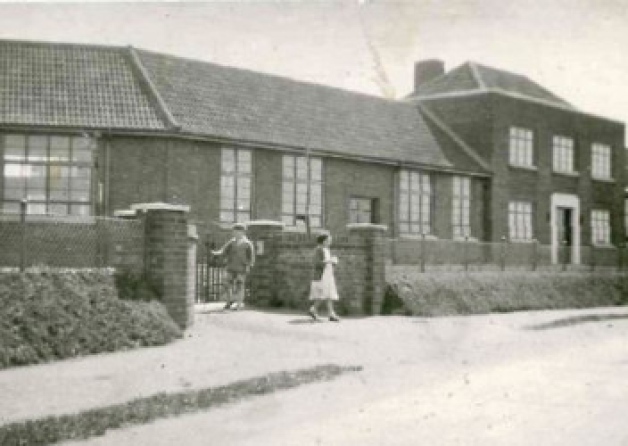 Old Buckenham High School is a small size high school based in South of Norfolk, and has been at the centre of village life since opening in 1938. Today OBHS (as its known) has about 600 + students, and has recently been involved in the journey of transforming the use of technology in the classroom. OBHS over the past years has not been able to invest openly in the ‘technology’ which we see in a lot of bigger ‘academy’ schools in the area, but has more recently has played catchup and now will have overtaken a lot of other Norfolk schools with its use of technology entering the classroom. 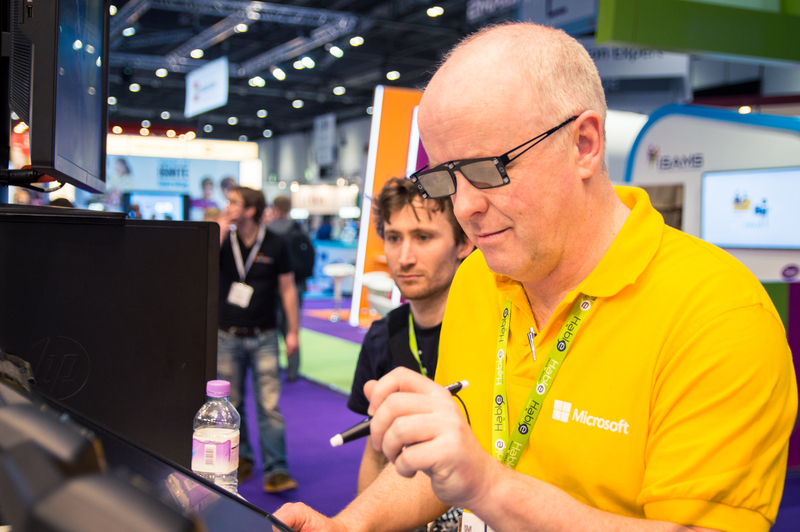 The teaching vision was to allow students access to mobile devices to facilitate their learning , utilising Microsoft Office 365 as a content and learning platform. The great part of this story is how the school went around thinking about there ‘mobile first’ strategy, instead of simply buying devices and then deciding how to use them in the school, they looked at the ‘technology vision’ and worked its way backward leading to the right decision in the hardware choices. there is no point in having a fast car if you have not got the road to run it on! From a non technical perspective, that statement from Aron Whiles, showed great understanding of the situation. It is really important to make sure that any infrastructure is upto dealing the workload it will be required for. There is no point in deploying Office 365 into computer rooms with slow internet connections as the experience would not be pleasurable for teacher or student! The next stage was a big jump!, the school had no Wi-Fi and it was decided that initially the science block should be enabled. This soon rolled into ‘well lets get a price’ for the whole site. Prices came in from suppliers invited to quote and there was a big difference! to complete the whole school the top price was £52,000, the lowest price was £18,000 , for installing the RUKUS Wi-Fi solution – my obvious advice as a school is make sure you shop around it really does pay! So over the summer break Wi-Fi was enabled, over the whole school, meanwhile the Network Manager had created the Office 365 tenancy and using the free DirSync tool had created over 600 Office 365 account for staff and teachers. So we had the infrastructure, we now needed to decide on the device to work with Office 365 and our students working in the cloud. What were we looking for? . Traditionally the Ipad has been the only route forward for schools, primarily being the only tablet device available. However these days we now have both Android and Windows devices to look at, price is always keen for a school in any deployment, so we initially looked at the Google Nexus and the Toshiba Wt8. However though unplanned sometimes a delay in making a decision can be a helpful one.. While we were evaluating tablets, a new range of Windows 8 tablets from Linx http://linxtablets.com was launched, the Linx 7, Linx 8 and Linx 10. 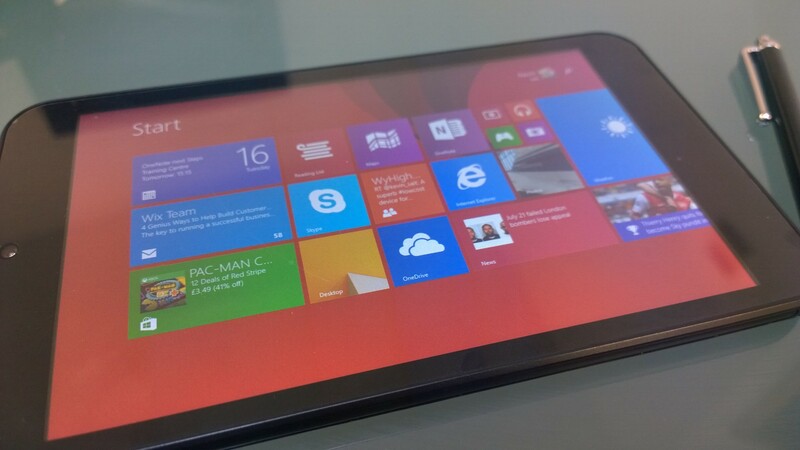 These tablets feature full Windows 8.1, a quad core processor and start from just £62.00 + vat. The super smooth 7 inch tablet from Linx is ideal for students as a personal learning device. 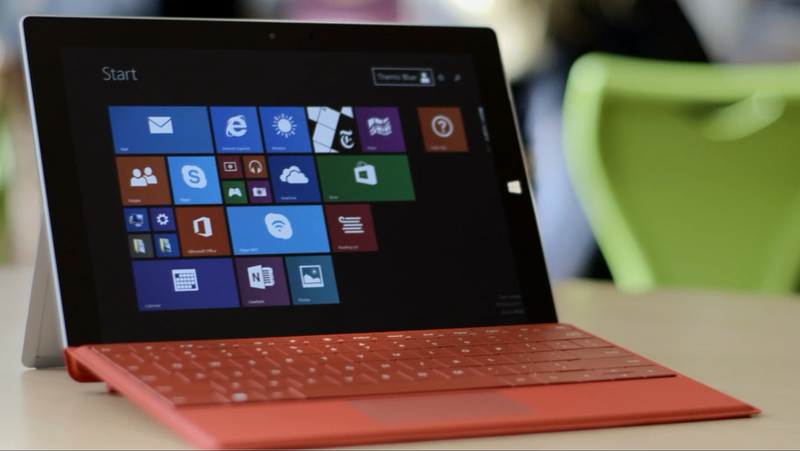 It allows students to use all the functionality of Windows 8.1 and Office 365. The quad core processor gives a responsive feel to the product, and with a MicroSD card to upgrade the memory you just cannot go wrong. The Linx tablets allow the real possibility of increasing our vision of allowing every child in school to have access to a device to accompany their learning journey at school. Using the familiar Windows 8 interface, its a natural progression to the transferring of documents to the desktop PC knowing where everything is. 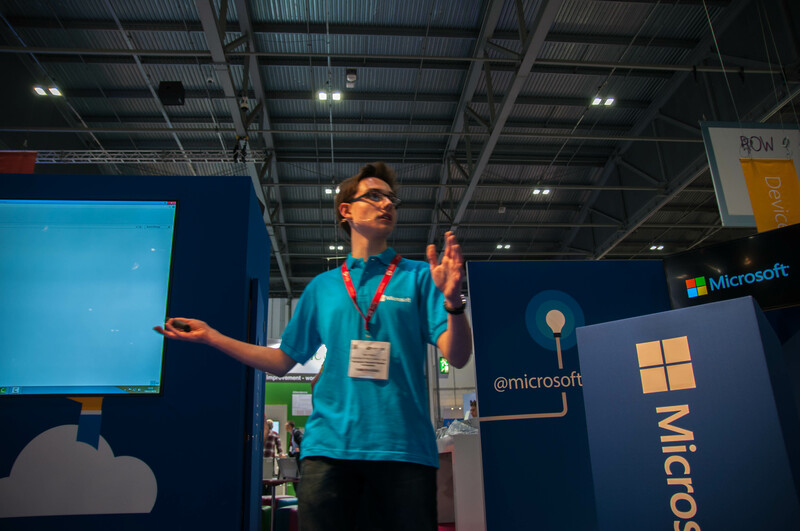 Windows 8 is supported by a wide range of hardware vendors, making choosing the correct hardware for schools an easy choice. 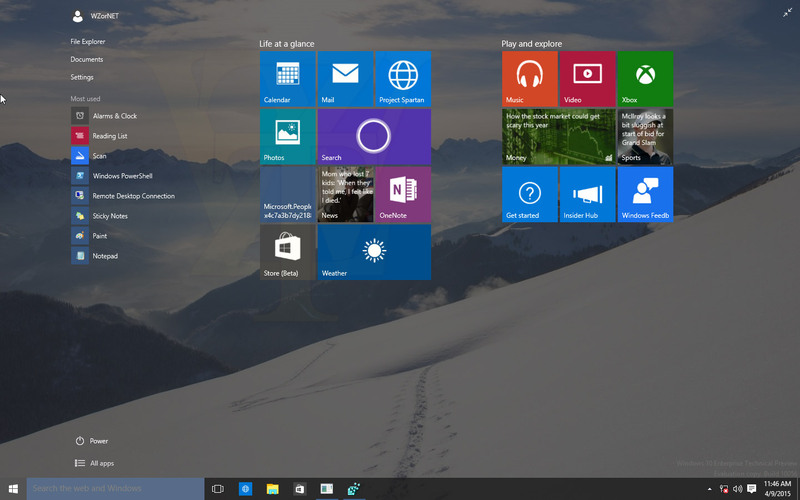 Also the Windows platform gives us the scalability to look at different models for different needs in the future. 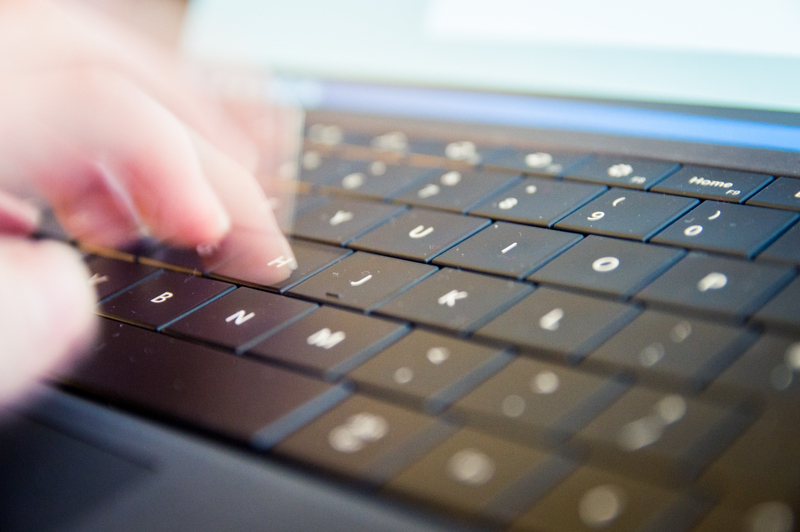 Where as a tablet is just a tablet, we may require, bigger screens, full tactile keyboards, or improved inking capabilities which is the great thing about the Windows platform, there are plenty of hardware vendors that can supply a range of devices to meet the school’s needs. 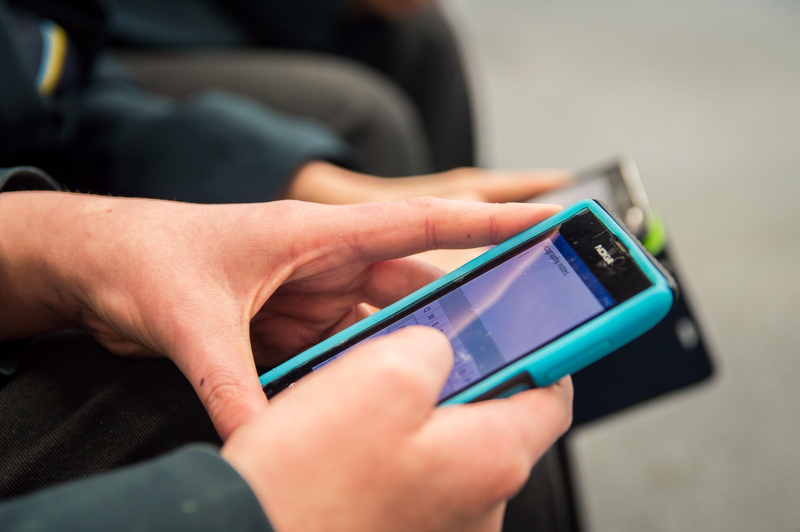 to support and develop the use of mobile technology throughout the school. 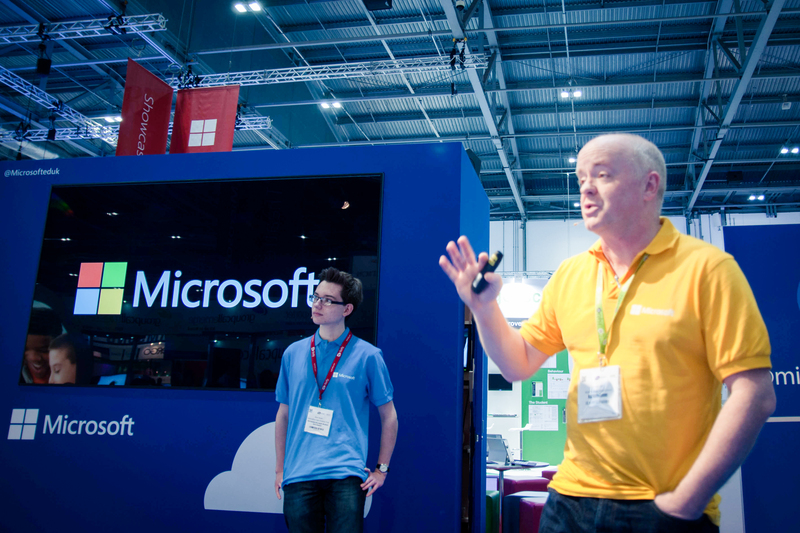 The team was formed to help other students and teachers understand Office 365 and cloud technologies, as these are skills for students for there future. 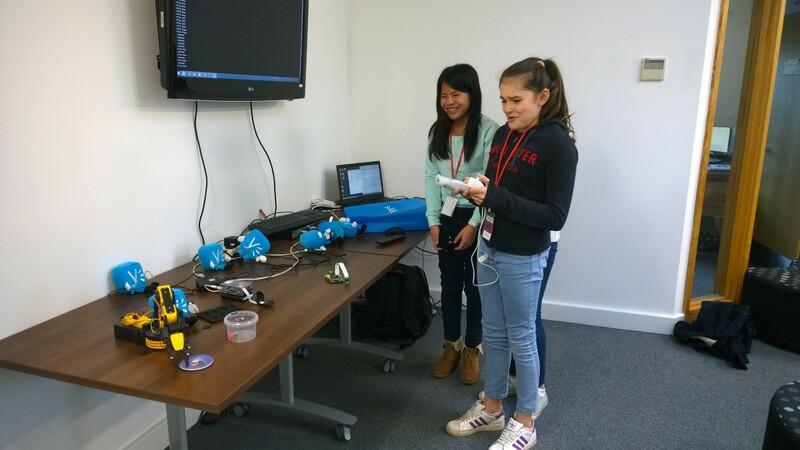 The team’s first job was to complete a tech day at Wymondham High Academy, with the training team. 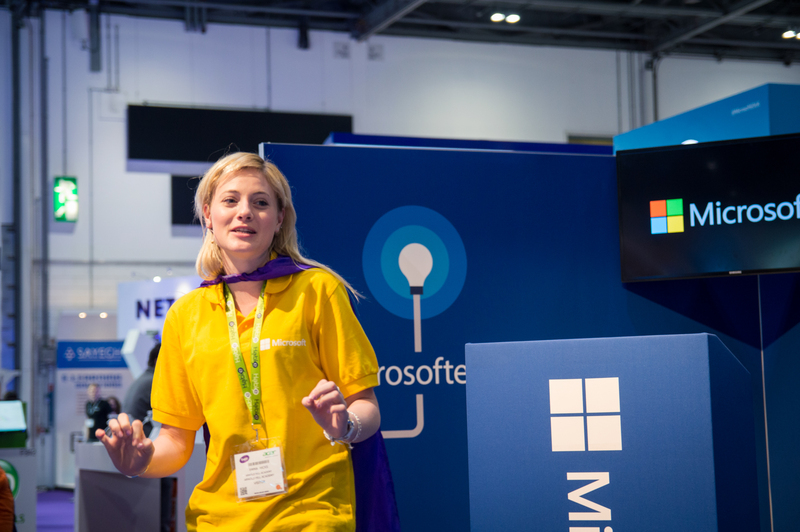 This focused on some key skills of Office 365, some fun with the Raspberry PI and finally some hands on with Office Sway and gaming solutions like Project Spark. After a productive day the team changed there name to the OBHS Tech Team, to reflect there aims and the role they are to play in the school. The end of the day also made them more confident with editing pages in SharePoint Online and also supporting users with queries on products like OneDrive for Business. 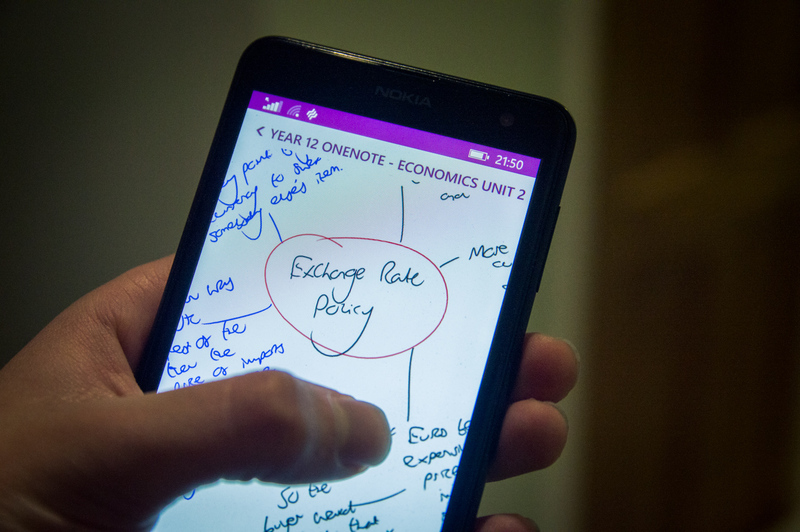 I think everyone understood the benefits of saving to OneDrive and its flexibility, and once we had looked at OneNote and what can be achieved with Office Lens (mobile app), students were feeling excited about the future of using technology within the school. These students are now working with teachers to develop great SharePoint sites for sharing resources, have established a Yammer presence to collaborate with other schools (and the Digital Leader team here at Wymondham High). 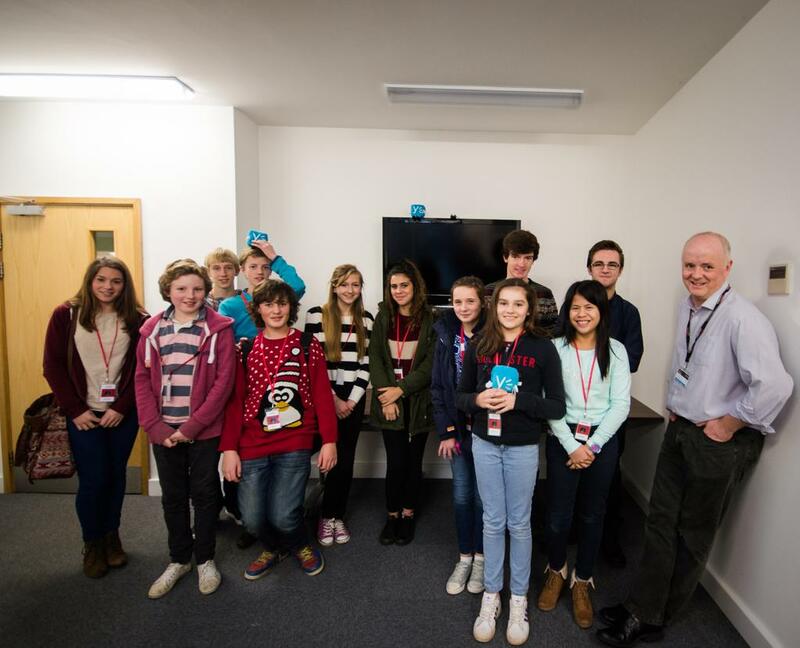 These students really are the future about changing the way things happen with technology at school. In reflection the school (which didn’t have a big pot of money) has been able to establish a policy for enabling students to share, communicate and collaborate using Office 365, been able to offer the first steps for students to use mobile devices in the classroom and create a sustainable BYOD scenario for the future. This has been done with a shared vision of the senior leadership group and the right approach to maximise the investment. Rather than thinking ‘lets buy the devices and then decided what to do with them’ the school started with ‘ what’s the end vision’ and lets map everything back from there. This is now backed up with the Tech Team a core bunch of students with the passion and excitement to transform learning in the classroom. 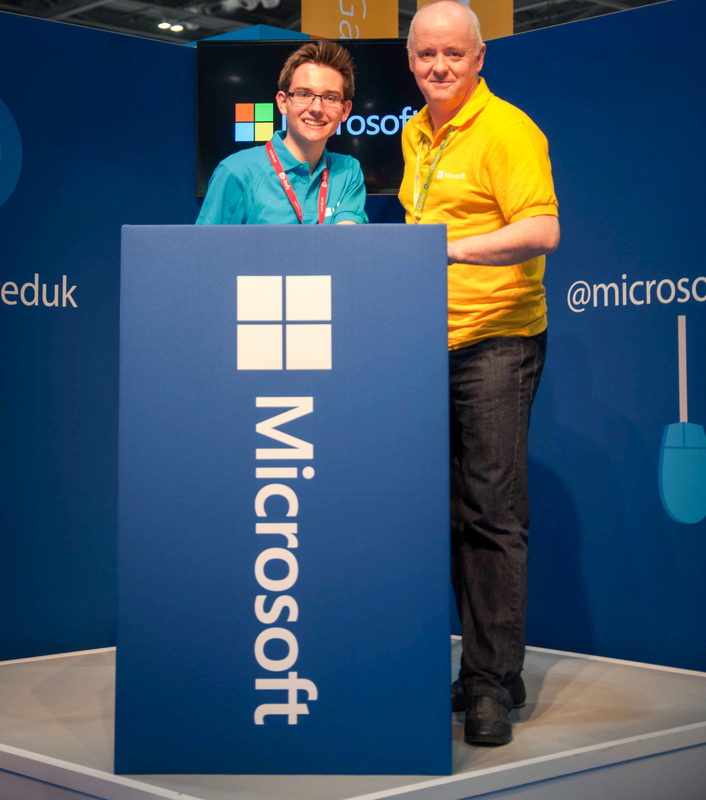 The OBHS Tech Team complete there Office 365 tech day with the training team from Wymondham High. 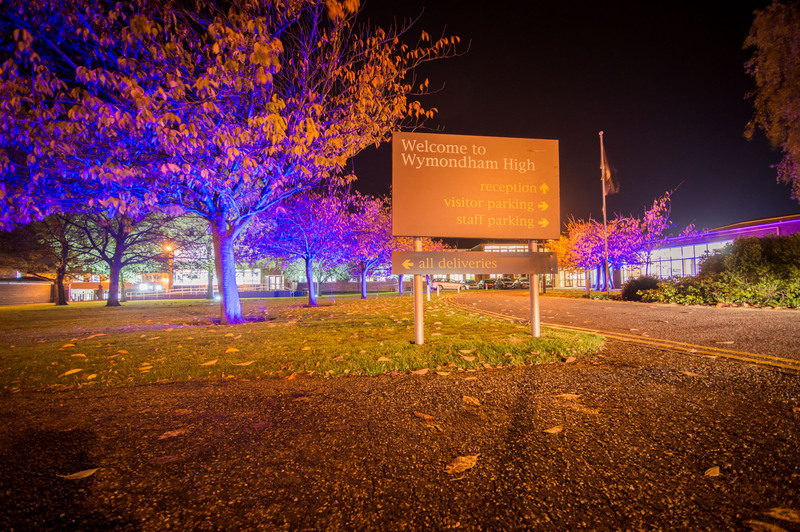 This time last year Wymondham High Academy was just at the point of trialling Office 365, as the Head of IT Strategy I was still finding my way around the school site, and trying to remember names and faces. A year later and Office 365 has been embedded along with Yammer to 1600 + students, Teachers have begun to embrace the flexibility of working in the cloud, the ability to move documents in between devices without it changing layouts ! 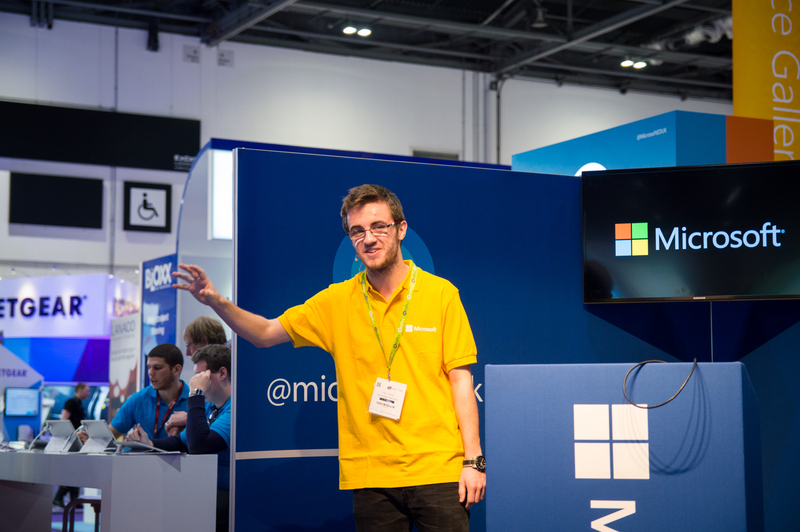 We have also in that year deployed Windows 8.1 to more than 700 school computers, deployed over 200 Surface devices, and added a sustainable BYOD element into school life!, that can really be described as the easy part!. Now the school is well on the way to its goal of embedding the use of technology in the classroom for the benefit of teachers, (making their life easier, working to improve good working practice in the classroom) and students, (understanding the technology, its use and how to benefit from key skills such as communication, collaboration and sharing). 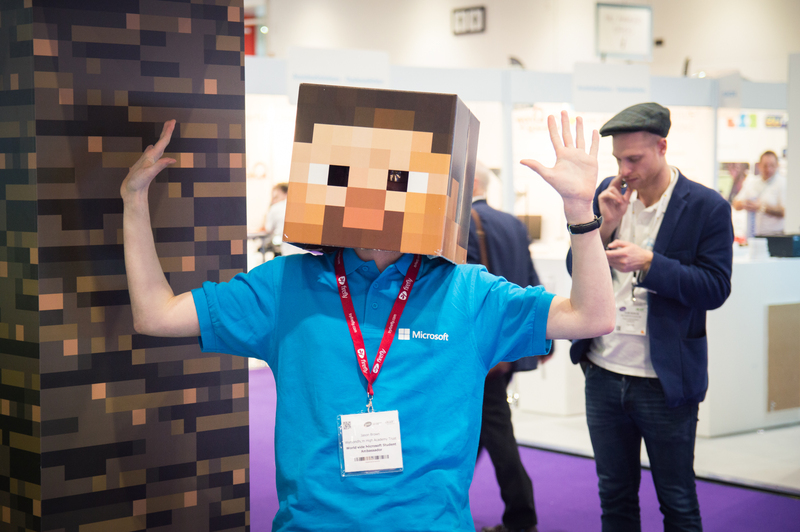 One of the big players here has been the adoption of OneNote 2013, which I can guarantee is the one piece of software people have never heard of, but trust me it can be a real game changer in your school. 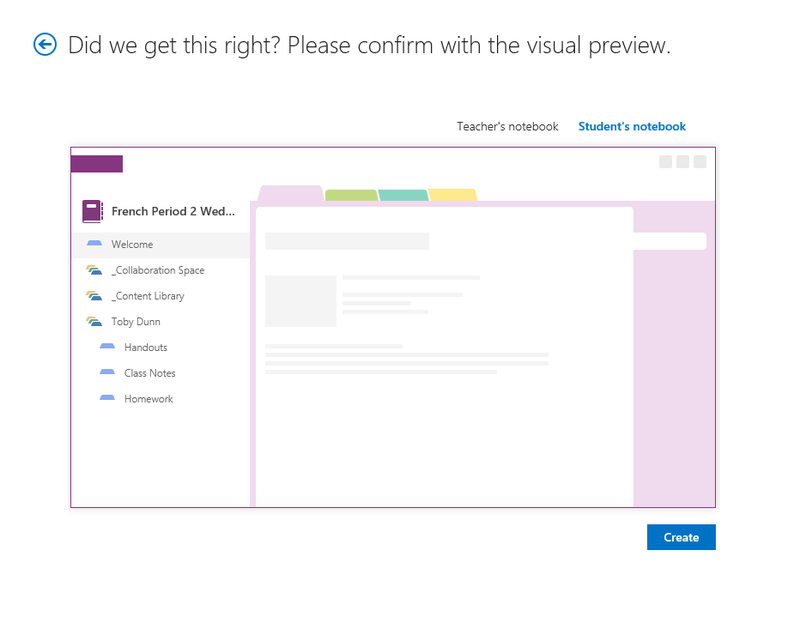 The latest iteration as a SharePoint app The OneNote Class Notebook Creator can literally ‘blow your mind’ as an educator with its potential in schools. 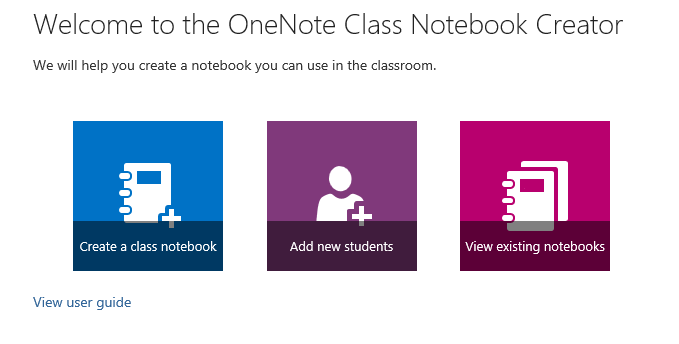 OneNote Class Notebook Creator allows you to create a whole class notebook, with content library, collaboration pages, and student notebooks, in one document! The real beauty about this is students only see the content library (resources from the teacher), the collaboration space (sharing ideas) and only their own notebook. So students use the notebook as if it is their own, can copy information from the teachers resource pages, do homework, and the teacher has global access to all the student notebooks and with the power of OneNote can leave feedback on students work in a variety of manners (audio, video, annotation etc). 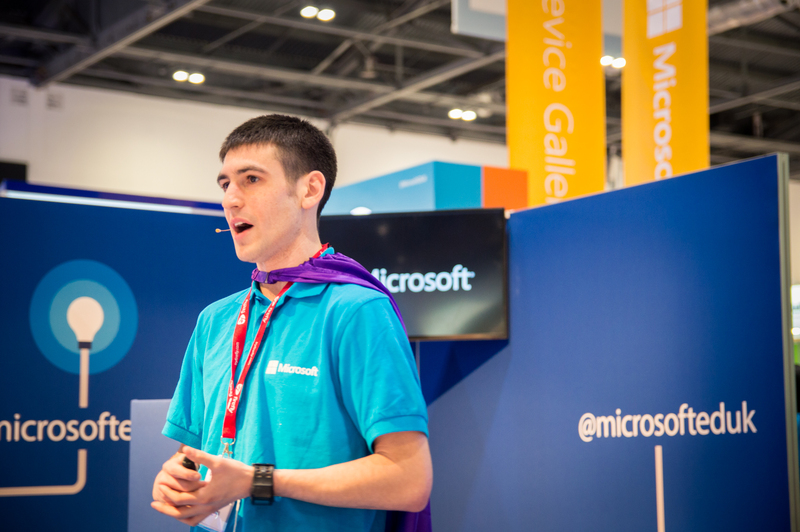 Going from Zero to OneNote Hero! 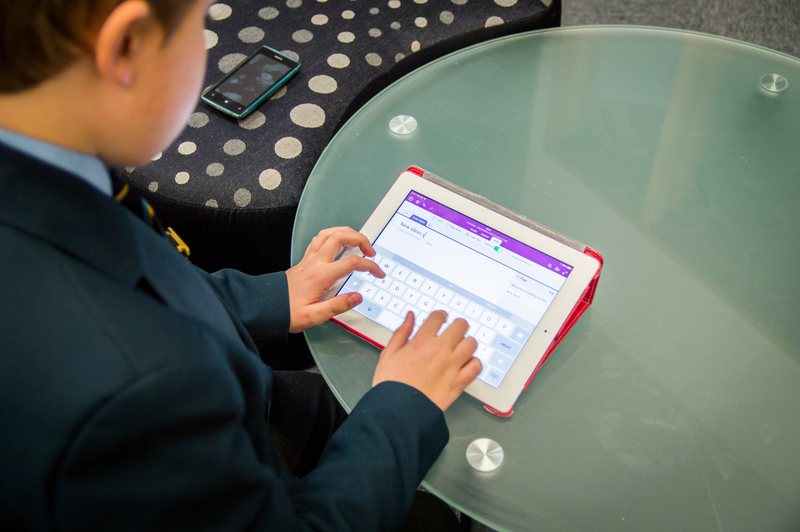 School Principal Russell Boulton has been one of the early adopters of OneNote Class Notebook Creator at Wymondham with his Year 7 Science group. Up until two weeks ago Russell would admit he knew of but didn’t use OneNote. 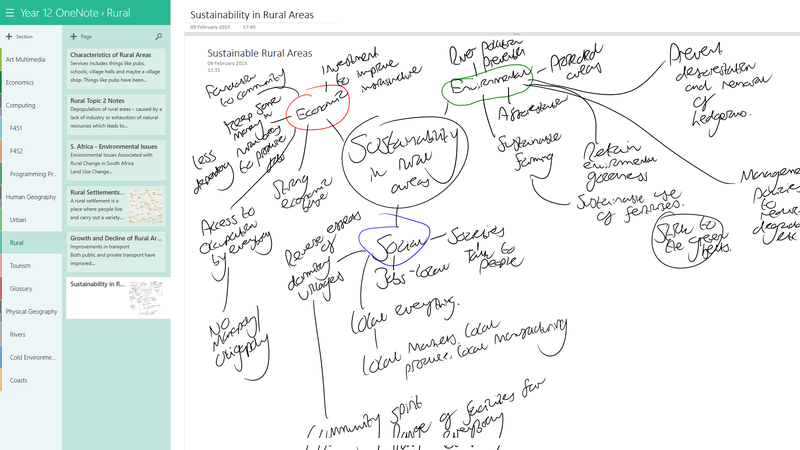 After a short session with us, literally 30 mins, Russell then an created his first Class Notebook and shared it with his teaching group on Yammer, our enterprise social network. Class Notebook has been a catalyst for me to introduce Flipped Learning into this terms topic. 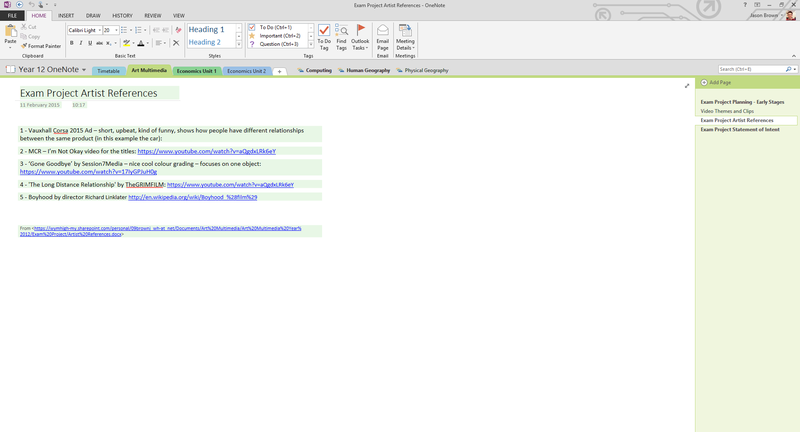 I have uploaded some video’s into OneDrive for Business and created a sharing link, embedded that into the content library in the Class Notebook so students have access to those resources. Part of the homework this week was to watch the video’s at home (or where ever they are connected to the internet). 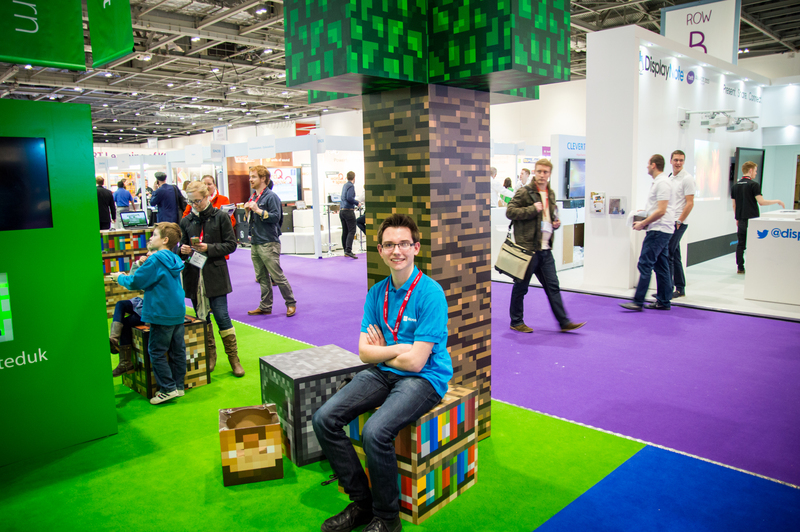 So we can get down to the task in the classroom and maximise the learning time. We have an active group on Yammer for my Year 7 science, and this is a great place to share access to the Class Notebook, also students use it as a discussion point and can help each other out if there is a problem. The great thing is I can also look into the Student Notebook and see how work is progressing at any time, and with OneNote on my Surface I can leave video feedback instantaneously if I wish. These are early days but we see the potential and how to deliver learning in a more exciting way for students and am sure, this will develop further. After installing the Class Notebook Creator into your Office 365 site then its a case of launching the app from your site. As you can see Class Notebook creator is now an app in your page, and you can now run it directly. Here is how simple it is to get up and running. First of all launch the app and you will be offered the opportunity to create a new Class Notebook, you also have the option of adding other students to existing books here also. 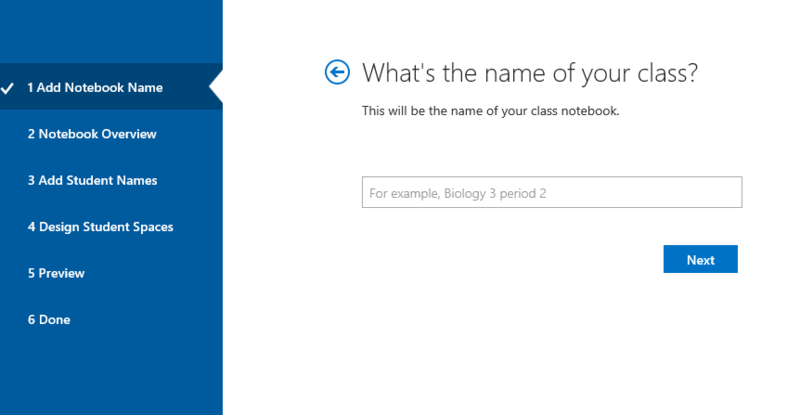 So select Create a Class Notebook, this will take you to the next screen. Add the name for your Notebook Science Period 2 Wednesday’s makes it easy for student to find if they have multiple OneNote open. Click Next. This screen shows you the construction of your Notebook. You can rename the Collaboration Space and Content Library if you need to. Click Next. Add your students name individually or paste them from a CSV. This sets up the correct number of Student Spaces. Decide what goes in the Student Space, these are just standard examples, but you can configure this for your own way of teaching. Click Next. Lastly you will see a Preview of the Notebook – make sure your happy with it or amend the structure – the choice is yours. Click Create to create your Notebook. 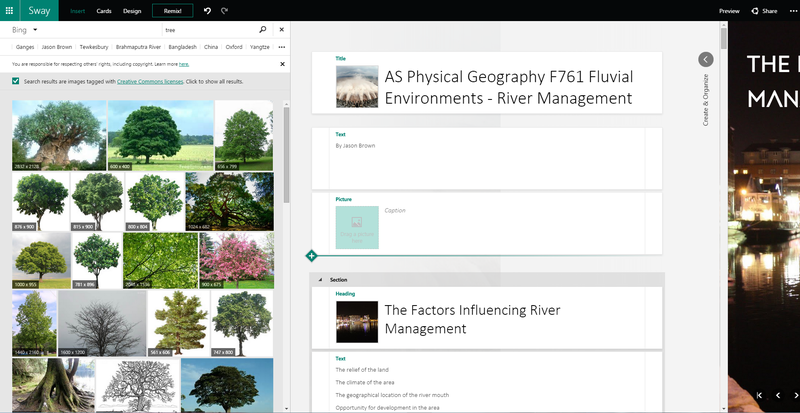 As on Office 365, you now get presented with a sharing URL giving access to the document, with the permissions set so student only see their own space and both the content and collaboration spaces. This is available on any internet connected device, so can be leveraged pretty much anywhere. 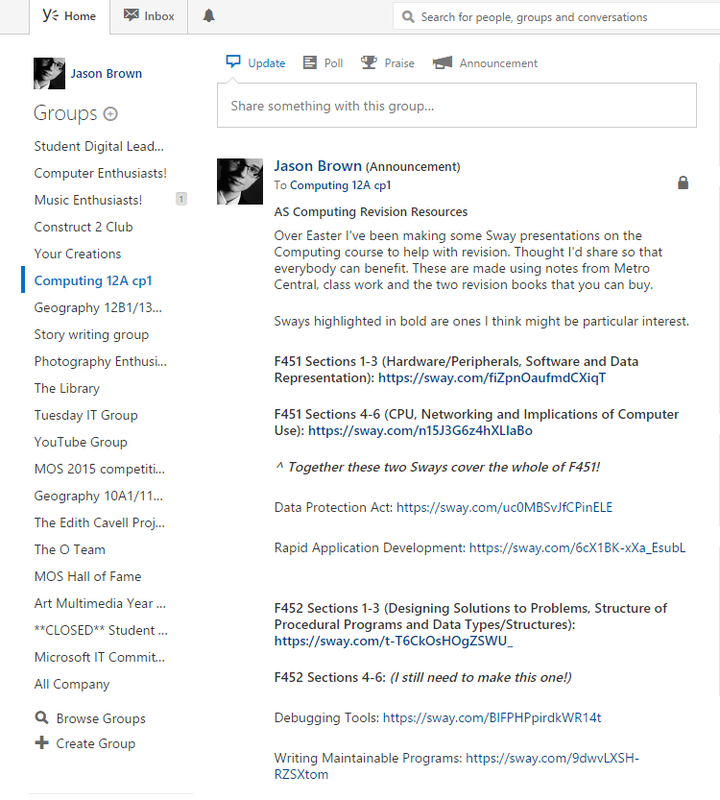 You can now post the URL into SharePoint or email it, we generally post it Yammer our social feed which is heavily used in school. 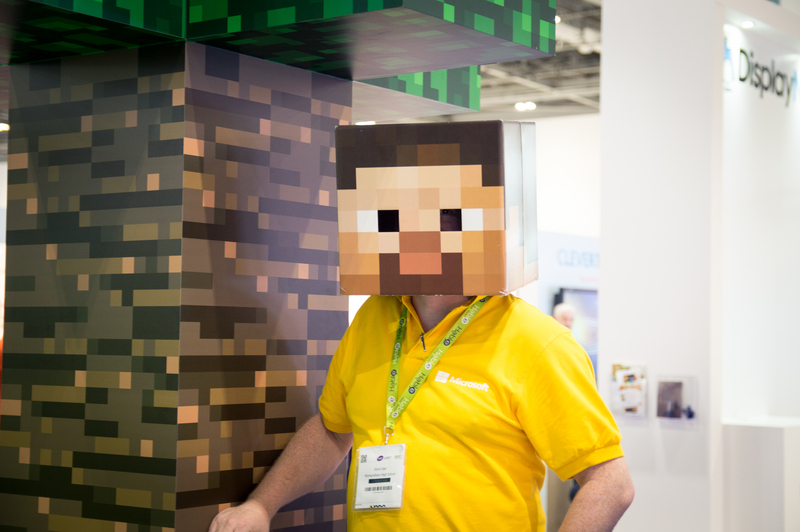 Are you an Office 365 user? 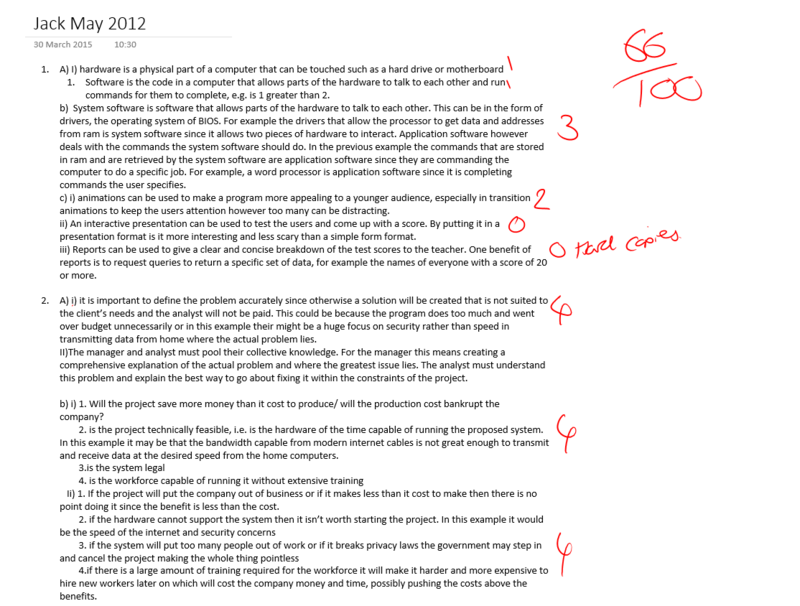 In summary OneNote is a much under utilised tool in the Office suite on its own. Its feature rich and empowering for both teachers and students. 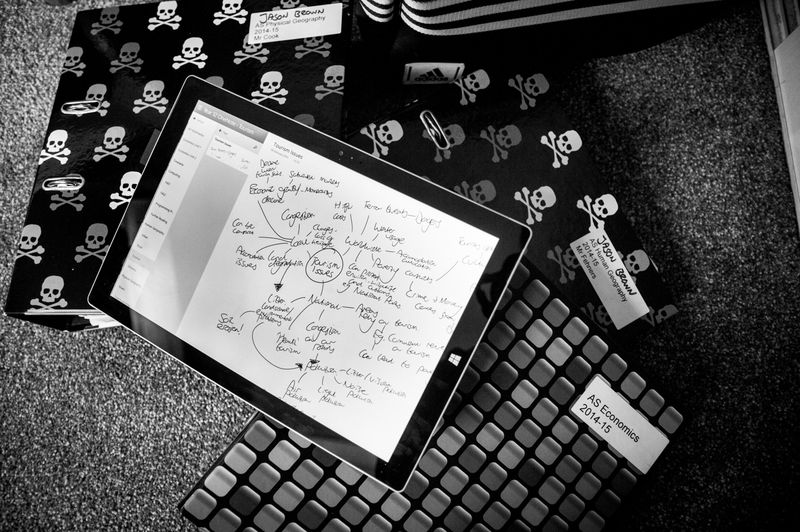 Class Notebook Creator takes this to the next level of utilising 21st century skills in the classroom and of course is free.